I finally got around to installing vCD-SP 8 and here are my finding on what’s new and upcoming. ESXi and vCSA 6.0 U1 is a big advantage to 5.5 and allow SP’s to take advantage of new features and optimization provided with 6. 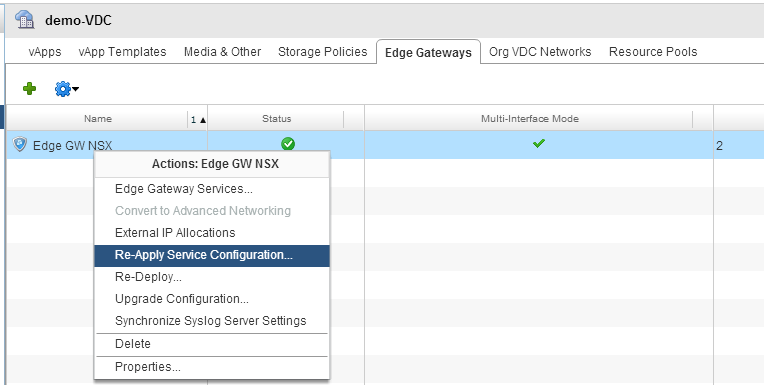 Support for NSX 6.2 and 6.2.1! 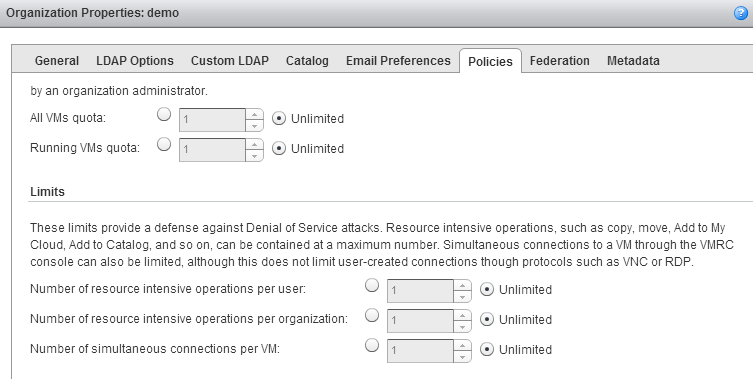 This allows connection to a NSX manager instead of a vShield Manager appliance in backward compatibility mode. Create Organization specific virtual datacenter templates with pre-set resources delegation rule-set. Have not tested this but provide some feedback later. 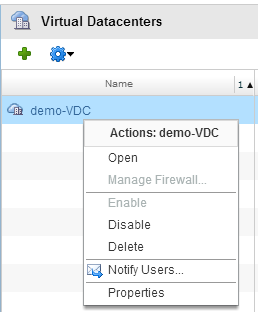 Reconfigure of VMs within a vApp. Reconfigure of networking connectivity and capabilities during creation. I have not seen anything from a UI perspective on this but seems to be more under the cover work through API. This prevents noisy tenants from consuming all the resources of a single instance.